Product prices and availability are accurate as of 2019-04-20 11:19:00 EDT and are subject to change. Any price and availability information displayed on http://www.amazon.com/ at the time of purchase will apply to the purchase of this product. The ridgid 98055 is a 3 inch t-150 shark tooth cutter blade. 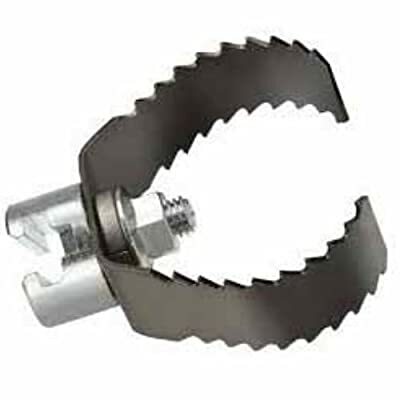 This cutter head is made to break through blockages in pipe lines. This head fits 7/8 inch c-10 Sectional male cable ends. 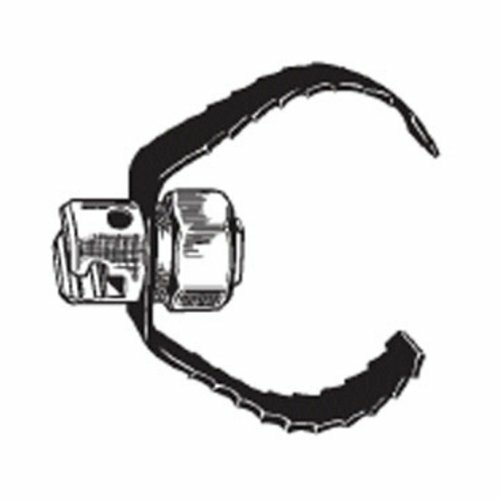 This cutter is for use in kitchen sinks, lavatory sinks, slop sinks, and disposal waste lines, it grabs debris and twists them onto the head of the cable. The cable head feature a quick locking tool end for a fast and easy change out during use. Why do so many professionals choose ridgid tools the answer is simple, trust. Millions of ridgid tools go to work every day in plants, on construction sites and in countless other harsh environments. One of the design parameters for developing ridgid tools is efficient operation. We engineer ease-of-use into every product. And, we include innovative features to ensure that our tools and machines get jobs done as quickly as possible without compromising quality.